Deepen your sense of the past at sights like Kilmainham Gaol and Trinity College Dublin. Your cultural itinerary includes sights like Temple Bar and National Museum of Ireland - Archaeology. The adventure continues: take a stroll through Grafton Street, contemplate the long history of James Joyce Cultural Centre, tour the pleasant surroundings at St. Stephen's Green, and examine the collection at Croke Park Stadium Tour & GAA Museum. To see photos, reviews, other places to visit, and more tourist information, read Dublin trip builder. Use the Route module to see travel options from your home to Dublin. In October in Dublin, expect temperatures between 15°C during the day and 8°C at night. Finish your sightseeing early on the 29th (Sat) so you can drive to Killarney. Popular historic sites such as Blarney Castle & Gardens and Muckross House, Gardens & Traditional Farms are in your itinerary. Peter Cox Photography and Muckross Abbey are good opportunities to explore the local culture. 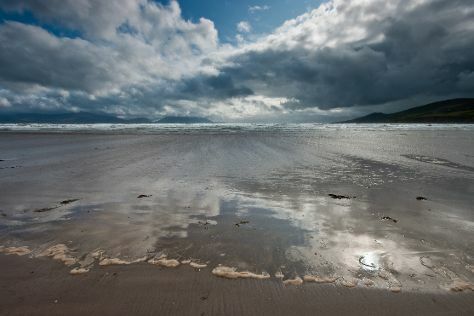 Step out of Killarney to go to Inch and see Inch Beach, which is approximately 42 minutes away. Spend the 31st (Mon) exploring nature at Killarney National Park. To see ratings, more things to do, traveler tips, and other tourist information, read our Killarney trip builder. Getting from Dublin to Killarney by car takes about 3.5 hours. Other options: fly; or take a train. In October, daily temperatures in Killarney can reach 17°C, while at night they dip to 9°C. Finish up your sightseeing early on the 1st (Tue) so you can travel to Waterville. On the 2nd (Wed), cruise along Ring of Kerry, then kick back and relax at Derrynane Beach, and then see the interesting displays at The Story of Waterville Cable Station Exhibition. Get ready for a full day of sightseeing on the next day: stop by Skelligs Chocolate and then enjoy the sand and surf at Ballinskelligs Beach. To see more things to do, traveler tips, where to stay, and more tourist information, go to the Waterville trip itinerary builder. Explore your travel options from Killarney to Waterville with the Route module. In November, daily temperatures in Waterville can reach 12°C, while at night they dip to 6°C. Wrap up your sightseeing on the 3rd (Thu) early enough to travel to Clifden. 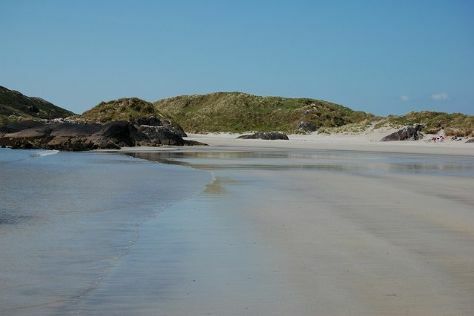 Kick off your visit on the 4th (Fri): explore the wealth of natural beauty at Connemara National Park, look for gifts at Connemara Blue, and then look for gifts at Lowry's Sweater & Gift Shop. 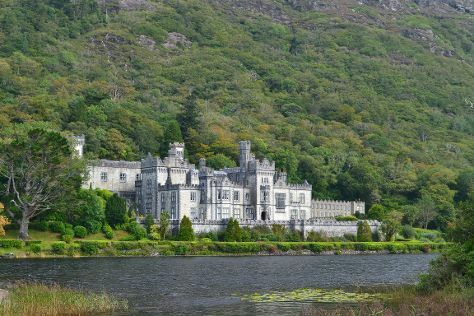 On the next day, steep yourself in history at Kylemore Abbey & Victorian Walled Garden, enjoy the sand and surf at Renvyle Beach, then look for gifts at Cottage Handcrafts, and finally stop by O`Dalaigh Jewellers. For where to stay, reviews, more things to do, and tourist information, use the Clifden vacation builder. Explore your travel options from Waterville to Clifden with the Route module. November in Clifden sees daily highs of 13°C and lows of 6°C at night. Finish up your sightseeing early on the 5th (Sat) so you can go by car back home.